A river is defined as a naturally flowing watercourse that is unidirectional and in a continuous state of physical change over time. Due to the nature of rivers, streams and creeks, the strategies required to fish successfully within them can be more technical taking into account current and flow rates, both overall and within certain areas of the river e.g. banks versus river beds, snags are more likely because of fallen trees and logs and because the current is constantly moving. This means more accuracy in casting is required but minor modifications are always required depending on the conditions at the time. 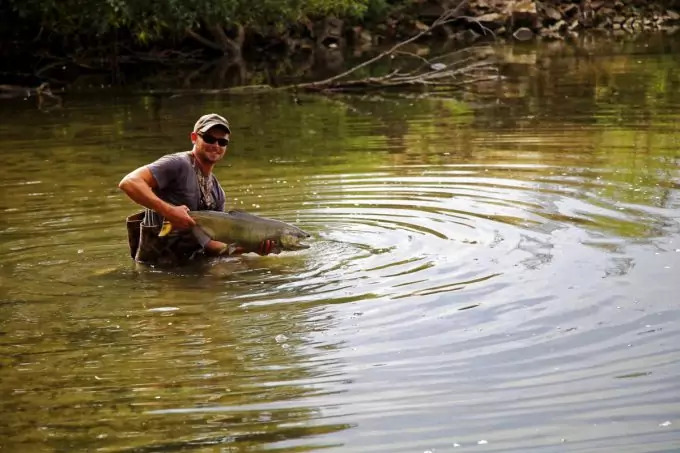 With all this to consider, and more, below is a guide for the best river fishing tips to increase your chances of catching fish in rivers, streams and creeks. Depending on what you are fishing for can greatly determine what specialist equipment you may need. This can depend on what weight you want to hold and work with when using a pump and reel technique for reeling catch in. Another important factor to consider is that lighter rods will make detecting bites easier than heavier rods. It is also more enjoyable to use lighter gear. 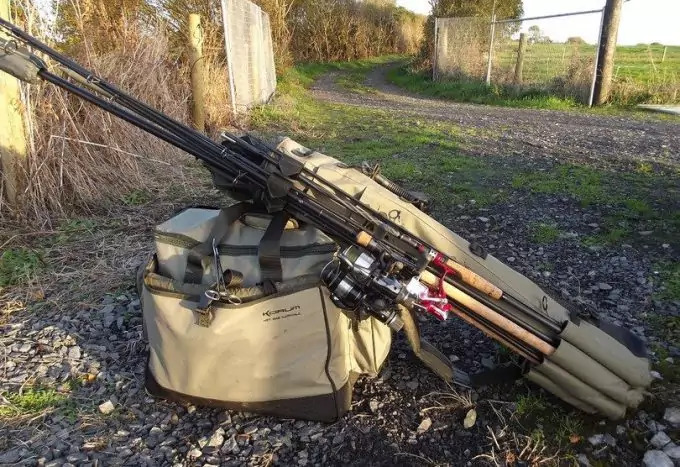 This will also add to the weight of the rod you are holding so consider what you can work with but if you’re going to for bigger game they can break rods and reels if they’re not built for it. Another helpful tool if you plan on leaving your rod in a holder on the boat rather than holding it the entire time, you can get reels that make a lot of noise when a fish takes your bait. Generally for river fishing you want something slightly lighter as fish in rivers and streams are smaller than those in lakes and dams, however, a bigger target fish will require a stronger line. A lighter line also has reduced visibility in the water, which is another consideration for not scaring away your fish from your bait. Hooks. Avoid too small hooks or anything that can get stuck deep in the fish’s throat, as removal is more likely to kill it. Wide gap hooks are more likely to catch in the fish’s mouth. And make sure it is sharp and not dull. If you plan to catch-and-release you can use barbless hooks, which will reduce further injury and trauma to the fish. Lure, fly, and/or bait. This will largely depend on where you are fishing to what you will use. Its best to use local bait or lures that resemble local prey otherwise the fish you are targeting may not recognize it. Useful for fishing in smaller streams and rivers when you’re not in a boat and if you don’t want to get wet. Let you see when you’re getting bites because it will dip below the surface, hence why they are bright colors so you can see them from afar. As rivers are flowing, just bait and line are not going to be heavy enough to keep your bait near the bottom of the river where the fish are likely to be so a sinker will help to guide the end of your line there. Sometimes you won’t be able to get a hook out with just your fingers and hands and sometime you may even need to them to get the hooks out of you. Line cutter. 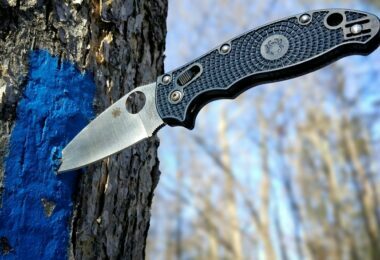 Unfortunately it is more than likely you will get snags in river fishing with all the fallen logs, trees and boulders and sometimes you just won’t be able to get your line free so you will need to cut it. To keep everything plus extras inside. 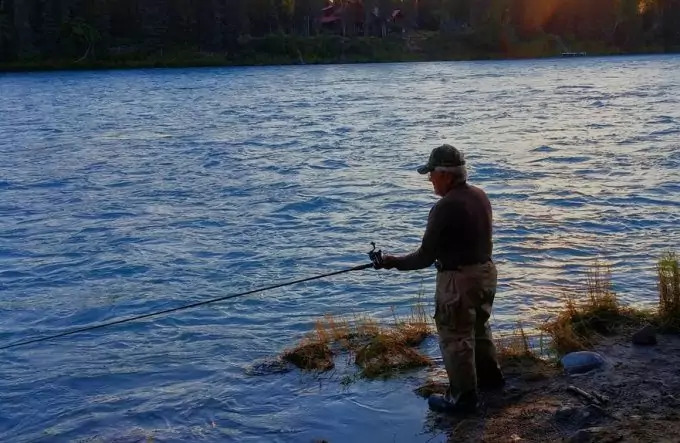 Fishing in a river may not seem much different to fishing in other bodies of water; however, there are different considerations to account for. 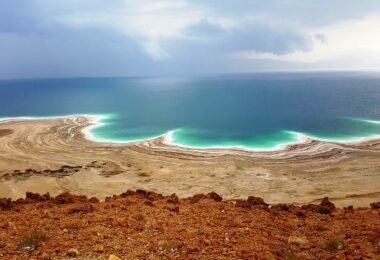 In the ocean the water can be much deeper and differing levels of water can have different currents. If fishing off the beach there is the backwards and forwards of the wave motion. In contrast, lake or dam fishing will have little water motion to consider. River fishing has more movement than lake or dam fishing, but unlike ocean fishing, the movement of the water is unidirectional. Depending on the depth, width and other geological features, the rate of flow can change as the river progresses. Narrow points will bottleneck the water increasing the river energy while wider areas can reduce the energy of the river. If the river runs straight through the landscape it can build more speed versus a river that twists and turns which will meet more obstacles and ultimately have its flow rate reduced. Rocks, falls and rises in the landscape can also change the action of the water, making it more turbulent or lack of these features can make the river run more calmly. This creates many micro habitats within the river system. Working out the flow and turbulence of a river will give you an understanding of the pattern and behavior which is important for working out where the greatest concentrations of fish are likely to be, particularly if you are targeting a specific species. Every river is different and so is each species of fish in its preference. 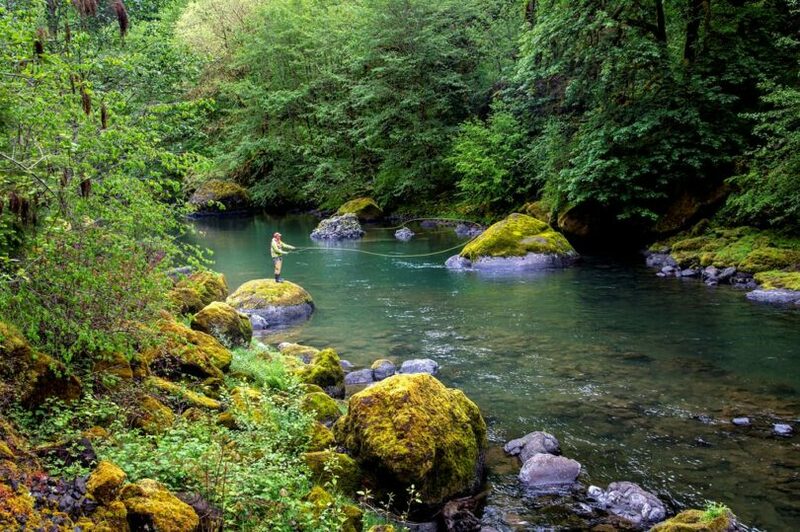 Living in a river environment means that the habitat has lots of energy and so the speed and duration that a species can maintain determines where you’re likely to find that fish in its environment. See our tips and guidelines on the best fishing times to help you get plenty of catch. As fish are constantly moving in response to their environment, this means expending a vast amount of energy. Therefore, generally speaking, fish will tend to be found in the calmer, slower moving areas of water, as it requires less exertion. Fish will congregate around areas of plants and weeds, banks, the bottom of the river or other formations that slow down the water flow rate, such as islands, sunken logs and backwaters, where currents converge, eddies and whirlpools. Fish will generally only leave these slow moving currents for the higher energy currents to change locations or feed. When we consider this we can therefore deduce that aiming for areas such as weeds and dense plants, casting near the bank, or bouncing your bait along the bottom of the river is likely to result in higher catch rates. You can also choose to target fish that are feeding. Food often collects in foam patches, which are usually around submerged rocks and trees, and logs. A lot of food also passes over spillways in larger rivers so some fish will collect here to catch the food before it goes over. Also pay attention to birds that are feeding on the river. They can hover over areas of bait fish, which in turn also attract larger game fish so this can give you a good idea of where to cast. Its good to know the behavior of your target fishes’ feeding habits e.g. how far it is likely to travel to feed, or where it is likely to feed as this will determine the best strategy and techniques to employ. Weather is also another factor to consider when locating fish. When it’s raining the water drops can catch insects in the air and drop them on the surface of the water. Some fish use this to their advantage coming up near the surface to feed. The raindrops on the surface of the river also break up what the fish can see above the water so they are less likely to see you too. During warmer weather fish will be much slower and more sluggish so when you find them you have to slow down your fishing technique so the fish are more likely to take interest. Windy weather can allow you to cast further so you can cover more area, therefore, increasing your chances of catching a fish. Another way to find fish is to actually look for them yourself. This is easier done in clear water without much sediment load so generally it is easier to see in the water of less turbulent, calmer rivers as well as shallower rivers. However, a pair of polarized sunglasses can help because they will reduce the glare of the water on sunny days as well as allow you to see through the water, again as long as it isn’t picking up too much sediment. But it will allow you to see deeper and more clearly into the water. This can greatly reduce search time, however, be careful not to get too close to disturb or spook. 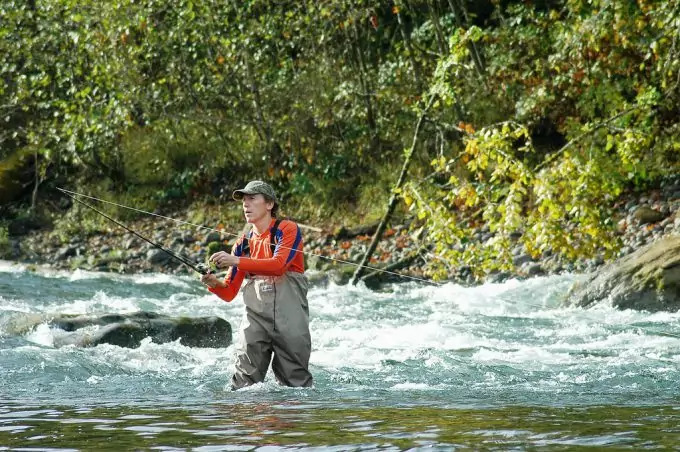 There are several techniques that can be employed when fishing in rivers. This is one of the best methods for fishing in rivers and streams as it allows you to cover the greatest amount of area. It involves casting upstream, generally aiming for the bank or wherever the flow may be slowest and letting the current carry the bait downstream. This is a technique that is not just for single casts, however, it involves using the same technique several times with slight modifications to distance cast and distance retrieved until you have thoroughly covered the area that you are fishing. This is the most beneficial technique when the fish do not leave the slow flow areas to feed but instead face upstream and wait for the current to carry the food to them. This also means that the fish do not see you as they will have their backs to you. 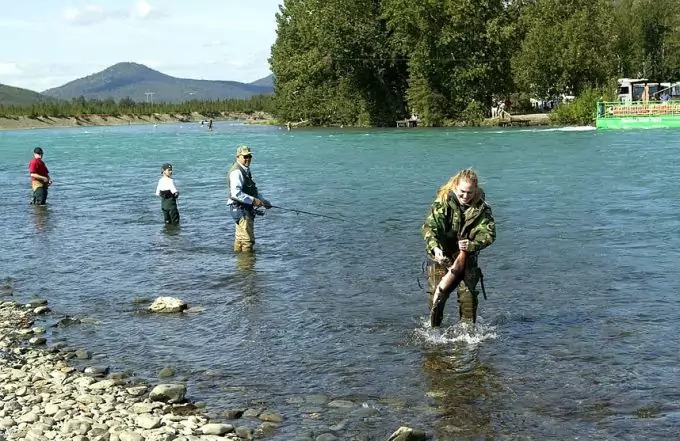 Again you cast the line upstream in line with an area where you believe the fish are, it could be the bank or a collection of boulders or fallen trees in the middle of the river and retrieve as the line makes its way back to you. This is the least favorable for river fishing as fish are more likely to see you and you are more likely to disturb them. Also if the current is heavier you will need a larger weight to keep the bait near the bottom of the river, but this in turn will make it more likely that your line will get snagged. To cast downstream you actually cast slightly across and keep the end of the rod low and retrieve once your line is directly downstream. 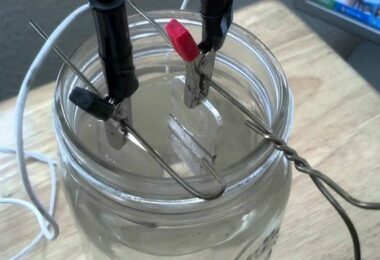 Some fish become more active when the water turbulence stirs up a lot of sediment. These murky conditions means that some fish let their guard down because of the low visibility conditions and are less likely to stay in hiding where you cannot find them. Also when the sediment at the bottom of the river is stirred up this can bring out a lot of small crustaceans and other bait type species that live in the sediment so if you can spot these species near the surface, more likely in shallower areas, the bigger fish are normally not far away. With the increased turbulence of the river you can also aim for areas where the current will deposit bait species such as where a small creek flushes out to the main river. Talk to the locals, whether it’s other people fishing in the area, finding information in forums or talking to the bait and tackle shop owner when picking up the local bait for the area. These are the people who are going to be well educated in the river or stream you want to fish in and can give you the best advice regarding time of day or moon cycle, where the best locations along the river are, what the best weather conditions are for the fish in that river and other such advice. Winter is a harsh time for every species and when things start to freeze over food can become scarce. Rivers rely heavily on terrestrial nutrients as the basis of their food chains. During winter when the river and landscape freezes over this can cut off major resources to the river ecosystem. Therefore, the fish underneath the ice can get very hungry so ice fishing in very cold climates can be quite abundant. However, again, you need to know where to find the fish. The same rules apply; low current, food, etc. but you’ll need to know before going out because it will all be under ice so you won’t be able to see it once you’re there. 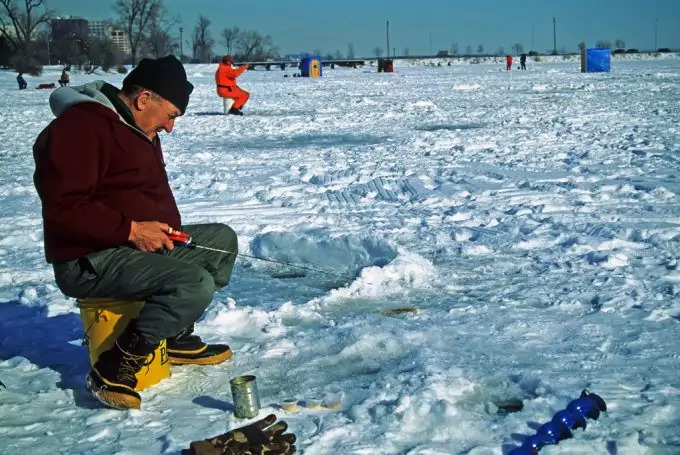 You can read some guidelines on ice fishing by clicking on the link for this topic. 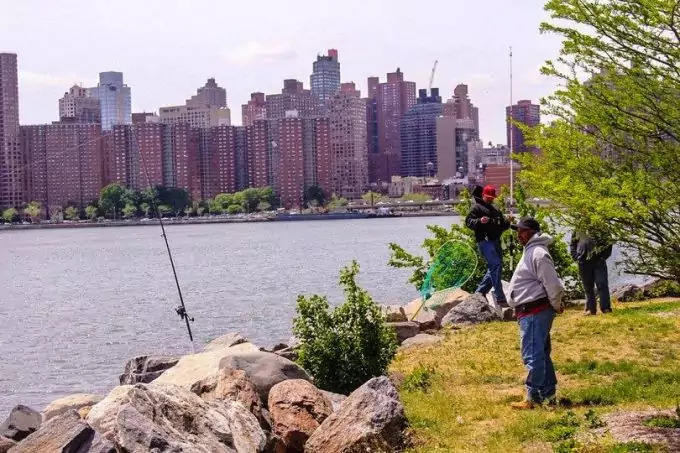 River fishing can sometimes have a bad reputation when it comes to water quality, particularly in urban areas. Pollution is more likely in these areas due to storm water run-off. In these cases you should always check with any local and state advisories and agencies if you want to consume what you catch otherwise it is perfectly fine for recreational fishing but you may not catch much depending on the contamination of the water and resilience or hardiness of the species that occupy it. Also be aware that in some areas certain species are considered pests and you may not be allowed to throw them back. Some rivers, while not in urban areas, can be affected by humans in other ways, such as with river flow regulation through locks, weirs and dams. These devices that slow down, stop and regulate the flow of water and what gets through can greatly change the whole structure of the food chain within the river ecosystem. These regulating structures change the depth and temperature of the water and the reduced flow means fish are more likely to congregate around them. If you plan on keeping your catch make sure you check with the local or state authority on size and catch limit regulations as well as any specific rules for individual specials. Also make sure you obtain any necessary licenses prior to your trip. It is also wise to be up to date with codes of conduct for ethical treatment to reduce stress and trauma to the fish as well as being aware of the most humane methods of killing the species you wish to catch for food. 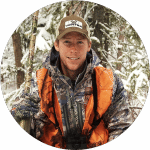 See our guide on how to obtain fishing and hunting license to help you. Remember to take only what you need rather than always trying to meet your limits, this will avoid any unnecessary waste and ensure future fish stocks in the river. When it comes to fishing in rivers there are many more considerations, modifications and selected strategies that are required and as fish in rivers live in a higher energy environment they are much stronger fighters than other fish you may catch in lakes and dams. Generally it is best to know the river system you want to fish in and what fish you want to catch because then you can focus on learning about the rivers feeding, resting and hiding places and the behavior of your target within that system. However, the tips outlined here will give you a general guide that can be applied to most river systems to ensure you have an enjoyable experience. The most important tip to remember with all fishing, however, is to be patient because fishing is a skill that takes time and persistence to see consistent results. 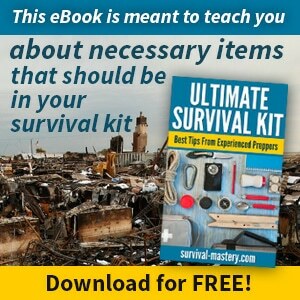 For more fishing survival tips and tricks to help you, see our must-read piece on the topic.